Home » Princes Blog / News » Bosch Cashback Bonus! A Bonus Bosch Cashback for our customer! This week Luke and Tom completed an install for a customer. 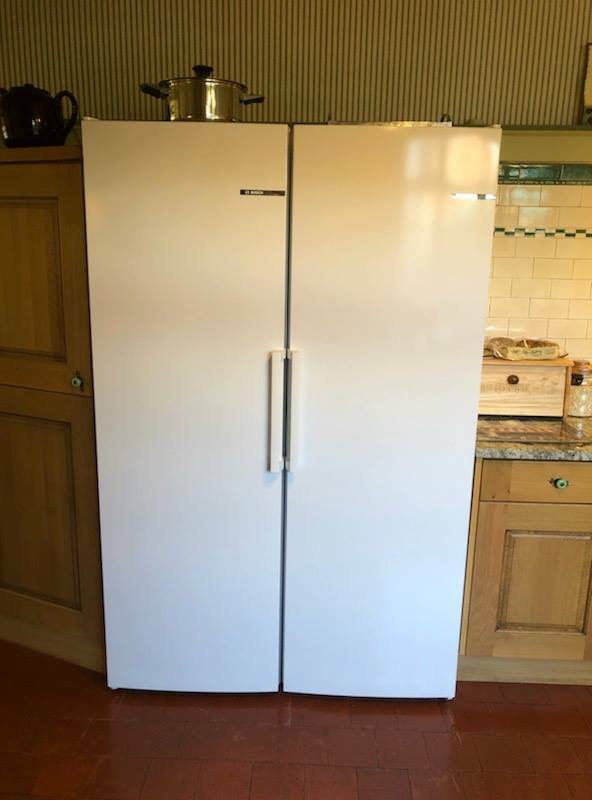 Our customer had a large area which would take something even wider than an American Fridge Freezer. Even better, our customer got a £100 cashback on EACH item from Bosch! If you purchase any Bosch appliances from us, take a look at the Cashback offers and see if you can benefit from the appliance you choose. The Cashback offer is on certain appliances across the board, including cooking, laundry, cooling and more. See our refrigeration range in store, enquire about stock or shop online.